Choose the right categories. Be specific — you have a much higher chance to rank (and attract the right visitors) for “wedding bakery” than, for example, for the more generic “bakery”. 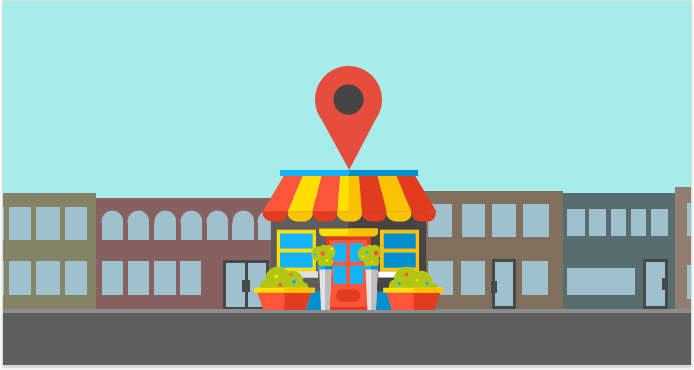 If you’re uncertain about which categories to choose, Mike Blumenthal’s Google Places for Business Category Tool can be of great help — it lets you enter a generic business category and comes up with matching categories from Google’s current categories list. Of all the factors examined, the number of a business’ Google reviews had the highest correlation with rankings. I want you to really take this in: reviews are the most important ranking signal in Google’s local search algorithm. For Google to start showing reviews on your business page, you’ll need at least five of them; then, you should be doing all you can to grow that number (and the ratings those reviewers give you) to improve your local rankings. Read and understand Google’s guidelines for reviews. Ask customers for reviews. Now, there are more than a few ways to do that: you can hand out leaflets, print out a QR code on your receipts or business cards, and ask customers in person when they’re paying the bill. If you have customers’ email addresses, consider sending them follow-up emails with a gentle ask. If you have a decent following on social media, try encouraging customers to leave reviews in your posts. Make it easy to leave a review. You could ask clients to review your business and hope they’d make the effort to find it online and write the review. Or, you could give them a link to your Google My Business page so they’d have to do a little less clicking in search for the pencil button. But best of all, you could give them a direct link to the review form to make leaving a review as easy and quick as possible. 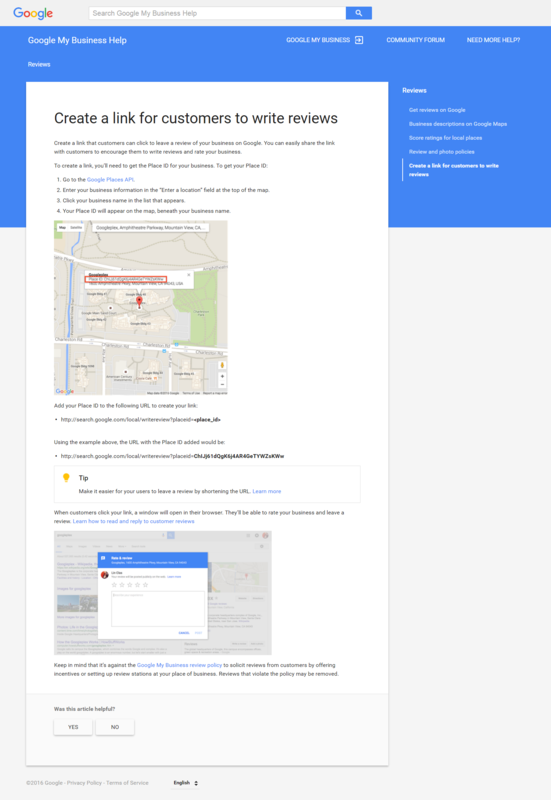 Here are Google’s instructions on how to generate a direct link to give to customers (Google deleted the help page, but the technique still works, so you can follow the steps described in the screenshot). Reply to negative reviews. It’s important that you respond to unhappy customers as fast as you can; not just for SEO, but for your business in general. First, it’s a good idea to dig into the problems that your customers point to and resolve them whenever possible to prevent other customers from stumbling into the same issues and leaving more dissatisfied reviews. Second, it’s important to show (both to the unhappy reviewer and to those reading) that you care about your customers enough to provide a reasonable reply and, if necessary, an apology. Third, when someone leaves a negative review, there usually is hope. 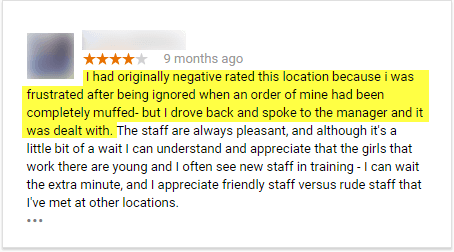 Here’s an example from Search Engine People of a customer who took the time to change their review because of the feedback they received from the manager. Be great. I know, I know, it may sound phony. But really, the best way to gain positive reviews is to be worthy of them. Remember that most customers will only feel compelled to write a review when they’ve had either a great or terrible experience with a business. You choose. It turns out the number of photos on your business page matters to Google a lot — the more of them, the better. Take the time to take the pictures, or even hire a photographer to do it for you. If you’re out of ideas on what kind of photos to upload, this list can help. The location itself, inside and out. Your retail area, your parking lot, the building where your business is, etc. Your customers will be interested to find out what the place they’re about to visit looks like. What you do. If you’re a bakery, shoot your best croissants. If you’re a grocery store, get a pic of those fresh greens on the shelf. If you have a detailing service, take a photo of a car getting it. Show off your product or service as well as you can. The number of the domains, IPs, and C-blocks linking to a site all equally strongly correlate with local rankings. So yes, if you were in doubt, you do have to do link building for local SEO. 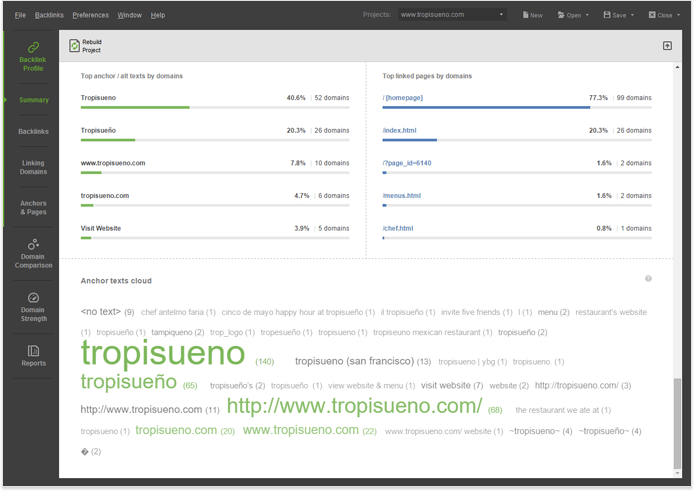 A great way to start is by downloading SEO PowerSuite and firing up its backlink tool, SEO SpyGlass: the app’s Summary module will show you exactly how many domains, IPs, and C-blocks link to you, and the Domain Comparison module will let you add up to 10 competitors to compare your link profile against. Inside Domain Comparison, switch to Link Intersection to see the domains that link to competitor sites but don’t link to you. This is a perfect place to find the best link opportunities in your niche; specifically, look for sites that link to multiple of your competitors — these are more likely to link to you, too. For outreach and other ways to find link building opportunities, use SEO PowerSuite‘s LinkAssistant. The app lets you find link prospects using 10 prospecting methods, and reach out to them right from the app, using its built-in email client. Various backlink quality factors strongly correlate with local ranks, such as Majestic AC Rank, Citation Flow, and (surprise surprise!) Google PageRank. Yup, its recently-discontinued-and-completely-outdated toolbar version. Just like it is with organic SEO, remember that quality and relevance should be your top concerns when you build links. 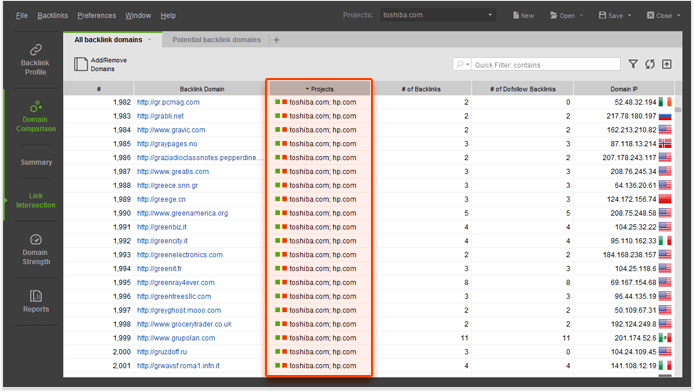 Run regular link audits with SEO SpyGlass to monitor your link profile and spot any dangerous links by Penalty Risk. This8-step link audit guide will help. The number of backlinks with the name of the city in anchor text, and their proportion in the site’s link profile, also proved to have a strong correlation with local Google ranks. The presence of target keywords in the anchor text also plays a part, but is slightly less important. Of course, there’s no ideal percentage of location-optimized anchors, so analyzing competitors is your best bet. Again, you can do it with SEO SpyGlass; just create a project for each of your top competitors (you can create unlimited projects) and go to Summary for stats on their links. Pay attention to things like anchor text diversity, top anchors by backlinks, and the anchor cloud. This will give you a solid idea on which anchors you can use in your link building campaign, and how many. As with links, traditional, non-local on-page optimization became important for local SEO after Google’s Pigeon update. The following factors have the strongest correlation with local ranks. We’ve seen a number of studies that show that longer content tends to rank better organically, so the mere fact that word count plays a part isn’t much of a surprise; what is unexpected, however, is that it’s the top important on-page signal for local Google ranks. So should you just pile on more words on your pages? As things go in SEO, it’s not that simple. The elusive concept of “ideal content length” may vary a lot from niche to niche. For a realistic reference on the right size for your content, it’s best to look at pages that already rank well for the keywords you’re targeting. 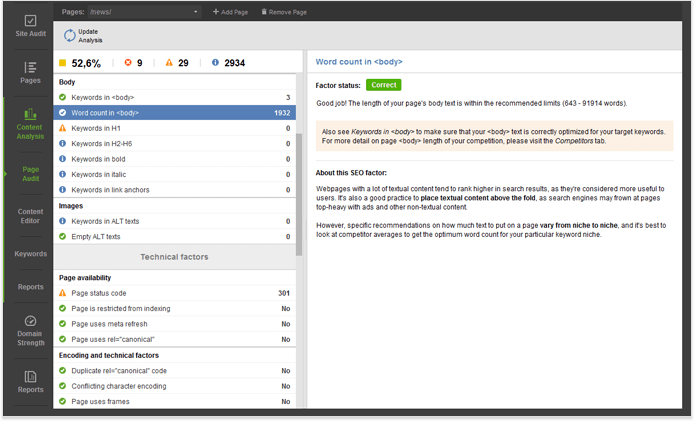 With SEO PowerSuite‘s WebSite Auditor, you won’t have to do this manually; its Content Analysis module will analyze your page and also look at the top 10 ranking pages for the keyword you specified. The app will determine an optimal word count range for your page’s content based on the competitors. Take a look atWord count in body — if your page’s content falls within this optimal range, you’ll see a greenCorrect sign next to this factor. You know the story: Google’s ranking algorithms are getting more and more sophisticated as the search engine tries to figure out what web pages are about instead of looking at keywords… However, studies consistently show that keyword usage still matters just as much as it used to, local SEO included. 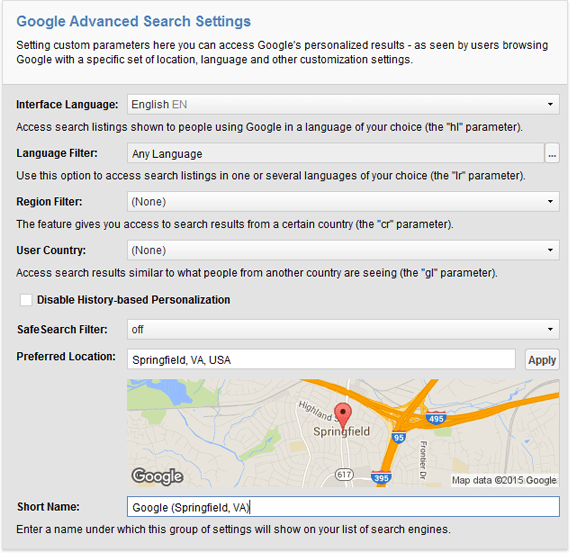 Keywords in your content and HTML tags do help you rank in the local pack, period. Here’s a guide to on-page optimization from our SEO Workflow series to get you started. How about the name of the city and state in your tags and copy? You’re in for another surprise — those do not seem to play a part. Even though it has long been an assumption that using the name of the city and state in title tags, URLs, and copy would help you rank in those cities, the study shows there is no statistically significant correlation with this tactic and local Google ranks. It’s important to note though that citation consistency can be a key factor to getting you into the local pack (another research by Local SEO Guide proved that) — so nope, you haven’t been checking your NAP in vain. It’s just that neither the authority nor the number of citations seems to matter as much. Now that you’re all set to make the important changes and start growing your local ranks, open up SEO PowerSuite‘s Rank Tracker and start monitoring your progress. The app lets you track rankings both in the 3-pack block and the Map results. It also lets you specify custom locations to check rankings from (you can make it as exact as a street address, and create as many custom locations as you need). To get started, create a project for your site, and check the Use Universal Search box at Step 4 (if you’re doing this for an existing project, go to Preferences > Rank Checking Mode to do this). This will enable tracking your positions across 3-packs, along with other types of Universal search results, such as News and Images. Those are the top 10 local ranking factors to optimize for. If it wasn’t clear already, traditional SEO signals are getting more and more critical to local SEO success. In 2016, if you are not invested in link building and on-page SEO, and focus on citations alone in your local campaign, you are putting yourself at a competitive disadvantage. As always, I’m looking forward to your thoughts in the comments. Jump into the discussion and share your own observations and your local SEO tips!